The Uttar Pradesh government launched a healthcare scheme on Friday, to provide free medical aid to poor families not covered under the flagship central government scheme of Ayushman Bharat, popularly dubbed as Modicare. The 'Mukhya Mantri Jan Arogya Abhiyan' will benefit nearly a million households or 5.6 million bottom of pyramid beneficiaries deprived of Ayushman Bharat-National Health Protection Mission Scheme (NHPMS). Last month, the Yogi Adityanath government had allocated Rs 111 crore for the scheme in Annual Budget 2019-20. Like Modicare, it also promises free medical cover of up to Rs 5 lakh per family per annum to beneficiaries. Modicare is estimated to cover 11.8 million poor households comprising 60 million people in the state against the pan India beneficiary count of almost 500 million. “Together with Modicare, we would cover 65 million people in UP,” Adityanath said after inaugurating a bouquet of health department programmes here. In the State Budget, the state government had also allocated Rs 1,298 crore for Ayushman Bharat, while a provision of Rs 291 crore was made for Pradhan Mantri Matr Vandana Yojana, apart from Rs 47.50 crore for setting up of 100-bed hospitals across the state. The CM said UP comprised a fifth of the country’s population and any improvement in its healthcare index would have a positive impact on India, a fact which, he claimed, had been stressed by Prime Minister Narendra Modi too. “We are making use of modern technology, such as telemedicine to reach out to the remote areas for providing medical and healthcare facilities,” he said alleging the state health and medical infrastructure was lying in shambles before his government came to power in March 2017. He informed 53 districts of UP had benefited under the national mobile medical unit programme, while 750 wellness or Arogya centres had been launched, upping the total count to 2,150 in the state. 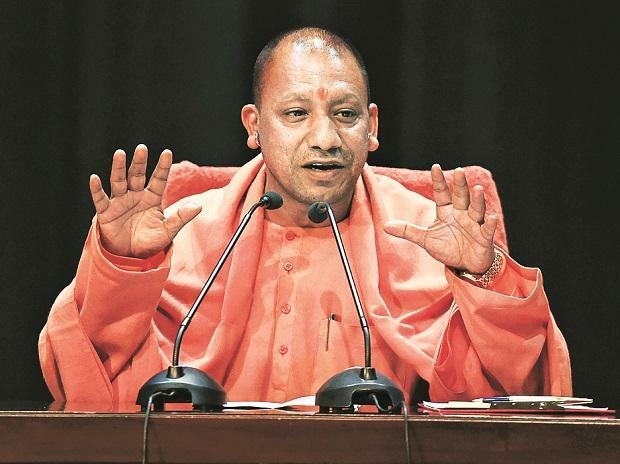 “Two years back, even the High Court was compelled to observe that while the VIPs received good medical facilities, the common man had no access to even basic healthcare in the state,” Adityanath said indicating rampant corruption in the public health and medical space under the previous regimes. The Chief Minister said UP had merely 13 government medical colleges prior to 2014, while during the past 4-5 years, 15 new ones were coming up, apart from a cancer institute, 2 AIIMS and an AIIMS equivalent facility. Adityanath also stressed on savings cost on the procurement of medicines and other medical equipment, so that the same could be diverted towards providing healthcare to the poor and other deprived sections of society. “The previous state government had refused to accept 150 life saving ambulances from the Centre for political reasons. We have taken these units and deployed 2 in each of the 75 districts,” he claimed.